Everybody deserves a gorgeous garden that they can unwind and relax in am I right……? Well that’s what we think here in Sanctuary HQ. Achieving this is easier than you think. 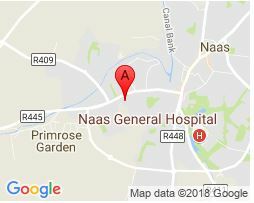 We offer a supply only service or a supply and installation service, we can cater to all budgetary requirements with our wide range of affordable artificial grass. This customer wanted to have a artificial lawn space and a putting green area, so that they can practice their golf skills at home at any time of the day. Convenient huh!? We have found a massive increase in the demand for this type of job especially in the last few months, and we can see why. This has become so popular, but why wouldn’t it…? You can have the best of both worlds. a stunning artificial lawn and a convenient putting green area. We have several different types of domestic synthetic grass, they all look different, a good entry level grass is our LOCO synthetic grass, it is 26mm in pile height ideal for balconies, decks and light use gardens. It is a very short pile height a good tried and tested all-rounder entry level grass. We then have our ARIZONA grass this is 30mm pile height grass, this grass is suitable for a wide variety of applications soft to touch yet very hard-wearing. Our Premier grass is a popular mid-range grass with a realistic looking fibre, it’s a very tough fibre and therefore lends itself well to heavy use areas with a lot of foot traffic and gardens with large active dogs. Next up is our REAL synthetic grass, in recent years this has been by far our most popular grass, it is the most realistic match to an Irish lawn in terms of colouring, hence the name REAL. A medium to long length 2 tone grass with dark brown thatch and 2 colours of green in the fibres. This is a 40mm grass. Finally our last domestic grass, we have our SUPER synthetic grass this is also 40 mm in pile height, this is an excellent top of the range grass, very realistic and hard wearing. Holds it shape very well. The main difference of SUPER is its colour. It has a combination of both light and dark green, with regular brown thatch at the root. Stands up well to everyday wear and tear in a busy family garden. We have a championship grade putting green surface. It can be used for indoor or outdoor applications. Non-Infill so its maintenance free. This is the putting green that you will see pictured. It’s the perfect addition to this family garden. The grass chosen for this garden was our REAL grass we think this is a perfect choice for this busy family garden. Our synthetic grass is quick drying even after the heaviest of rain showers, so the kids can be out playing in the garden in no time. 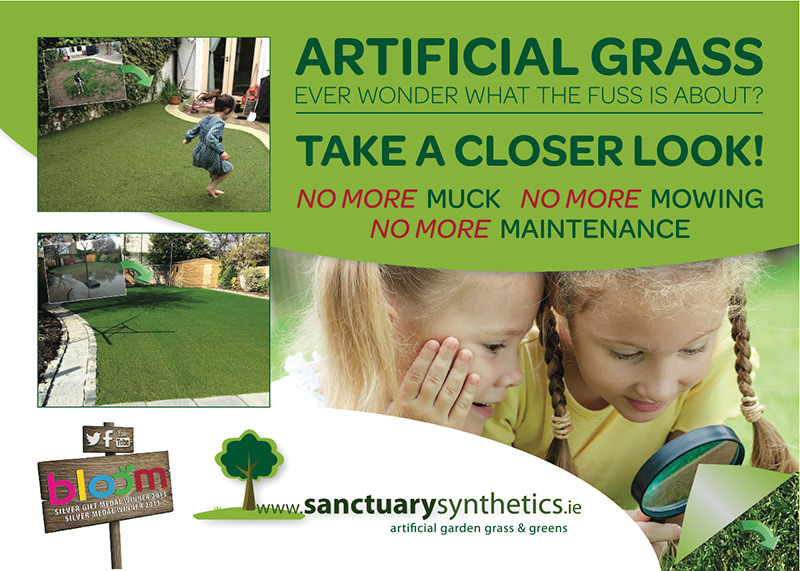 Our synthetic grass is also very soft to touch and will not give friction burns.